Hi!! I’m back today with something different today. Food adventures and recipes are great, but it’s fun to switch things up once in a while. As for life, it’s been pretty hectic. The good news is that college essays are finally starting to come along. Well, back to the food. “Chinese” cuisine is incredibly diverse and complex. In fact, it’s actually divided into 8 major regional cuisines from spicy Hunan to sweet Zhejiang to hearty Dongbei (Northeast). All this variation can make getting into Chinese cooking a bit intimidating, but don’t fear! These 5 staples are in every Chinese kitchen, so stock up and get started! 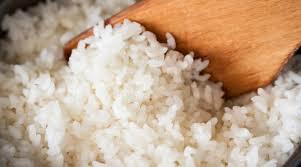 As the saying goes, Rice is life. No Souther Chinese meal is complete without a bowl (or three) of steaming rice. Thanks to advanced transportation networks and better agriculture, even the wheat loving Northerners eat it as a staple. The most popular type in China is short grain Jasmine, but don’t be afraid to explore. My personal favorite is forbidden (black) rice. Although meat used to be a luxury for 90% of the population, economic development has made meat a kitchen staple. 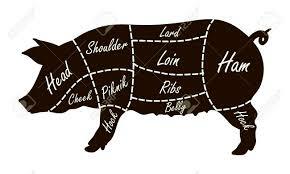 While chicken, beef and fish are welcome, pork reigns supreme. China now produces and consumes 1/2 of the world’s pigs. Of course, the meat isn’t always the star of the show. The liver, trotters, even ears and tail are considered delicacies. 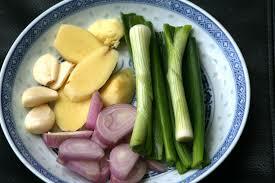 The French have their “holy trinity” of onions, carrots and celery; the Chinese have Ginger, Garlic and Scallion. Simply chop the three up, throw into a stir fry and boom!- Instant Chinese flavors. This trick also works for soups and especially well for braised dishes. As a rule of thumb, throw ginger and garlic in first and leave the scallion to the last second. Soy sauce is synonymous with Asian cuisine, but it’s for more than dipping sushi (which isn’t even Chinese anyways). Soy sauce gives dishes a salty flavor, but more importantly, the natural umami creates depth in an otherwise simple stirfry. 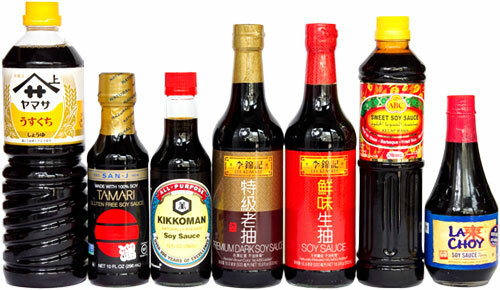 The key is to choose “light” soy sauce, which is where the flavor comes from. Dark soy sauce is for color. Chinese people love meat, but hate gaminess, so, every meat dish is prepared with an obligatory splash of cooking wine. Even in soups and vegetarian dishes, a generous splash can increase depth of flavor. “Cooking wine” is a fairly broad term that encompasses everything from old bottles of unfinished spirits to Pinot, but the cooking wine I’m referring to is Chinese rice wine. 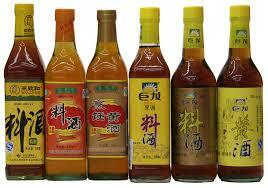 It looks yellowish red and is available in all Asian supermarkets. I hope this quick little guide helps. Otherwise, that’s it for now. I hope everyone has a great week and happy cooking!